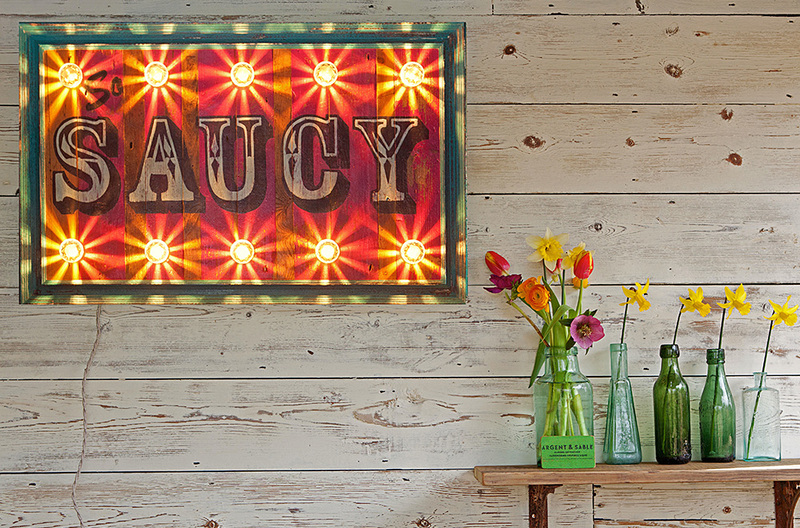 Our 'So Saucy' vintage wooden circus sign was inspired for our love of the great British seaside humour. 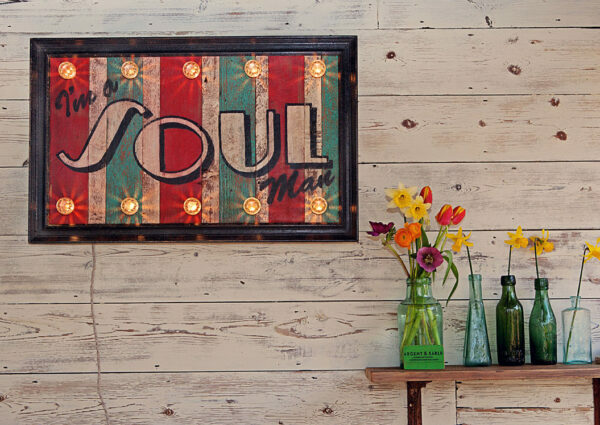 'So Saucy' has been hand painted in circus fonts onto beautiful striped hot pink and bare reclaimed wood, surrounded by authentic fairground lights and a distressed hot pink frame. 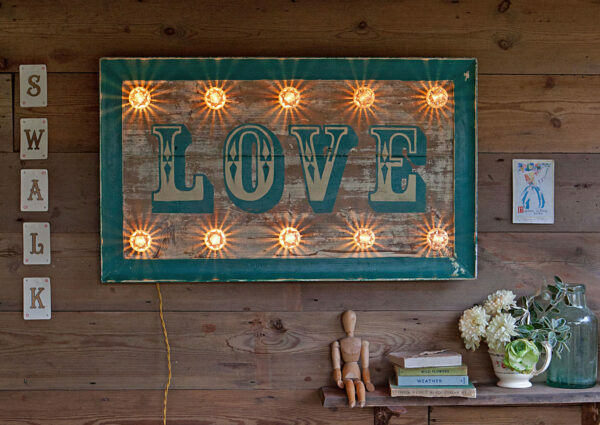 It has been aged and distressed for an authentic vintage style. 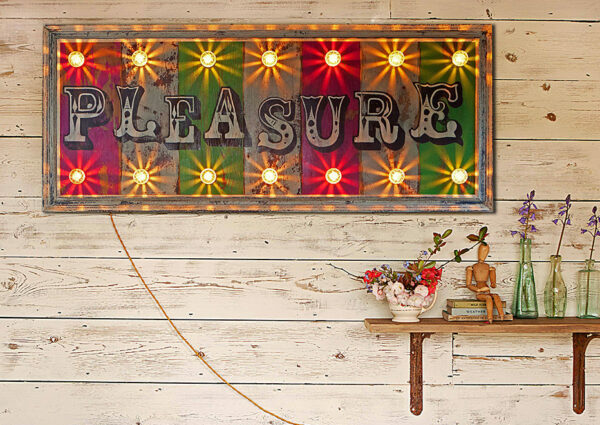 This statement piece has been lovingly and individually made by the designer makers at Argent & Sable who handcraft these light up circus signs from reclaimed wood and authentic fairground lights in their Suffolk workshop producing a piece of light art that is both unique and eclectic. 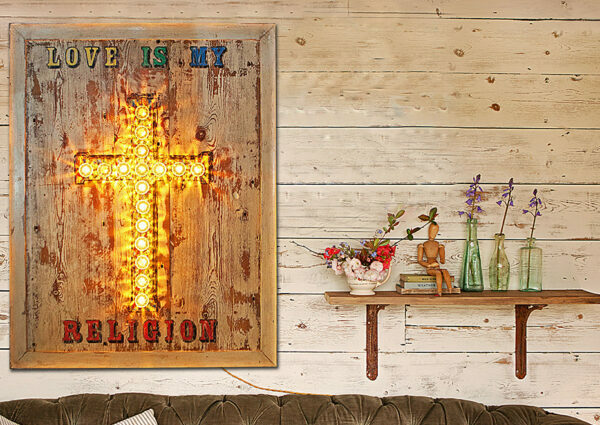 Dimensions: W90 x H60x D10cm.